Baroness Patricia Scotland was appointed to the JLSC in accordance with section 105(1)(d). Baroness Scotland has had an exceptionally distinguished career in the law. She gained her LLB (Hons) in 1976 and was called to the Bar in 1977. She was appointed Queen’s Counsel in 1991. Baroness Scotland was created a Peer in 1997 and served in several ministerial positions in the Labour Government, including as Her Majesty’s Attorney General for England, Wales and Northern Ireland from July 2007 to May 2010. She was appointed as an Assistant Recorder in 1991, a Deputy High Court Judge in the Family Division in 1995, and a Recorder in 2000. Baroness Scotland is currently in private practice in London and serves as a Member of the House of Lords. Baroness Scotland has received many awards for her achievements; and is a member of numerous advisory committees in the UK. 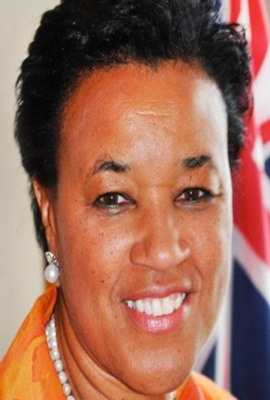 Baroness Scotland served as a member of the JLSC from 12 September 2012 to 31 July 2015.